Lead Management Software to manage your leads automatically. Respond to hot leads faster. Take advantage of lead management software that saves your valuable time and efforts. Leverage the logical distribution of leads feature. 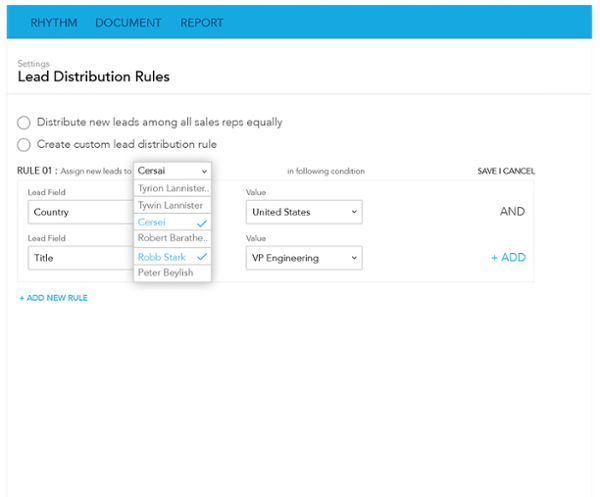 Create custom rules to distribute leads. Throw equal opportunities to your sales reps.
Lead distribution is just the begining, Inside Sales Box empowers you to reach out to the prospects through calls. Calling enables you to respond speedly and effectively. Reach out to your prospects with click to dial and sequence calling. Record Calls: Record calls for training, quality control and analysis. Local Presence Dialer:Call with local caller ID and greet your customer with local number. 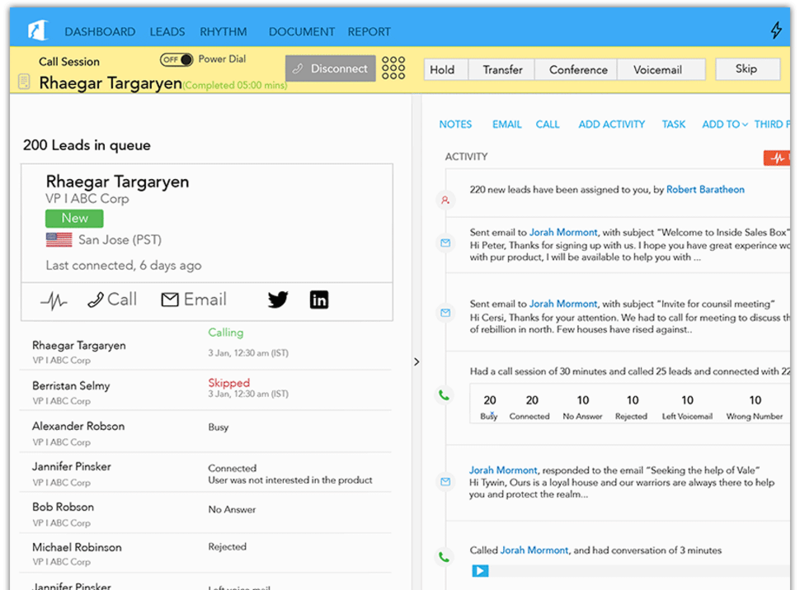 Smart Voicemail Drop:Drop smart and actionable scripted voice mails. Inside sales box offers you more than a lead management software. Never Miss Follow-up: Never miss your important follow-ups with bucket. It will periodically prompt to review the follow-up. Send & Track Email:Save templates, send emails and track your success. Keep track of your success on an easy to use dashboard. 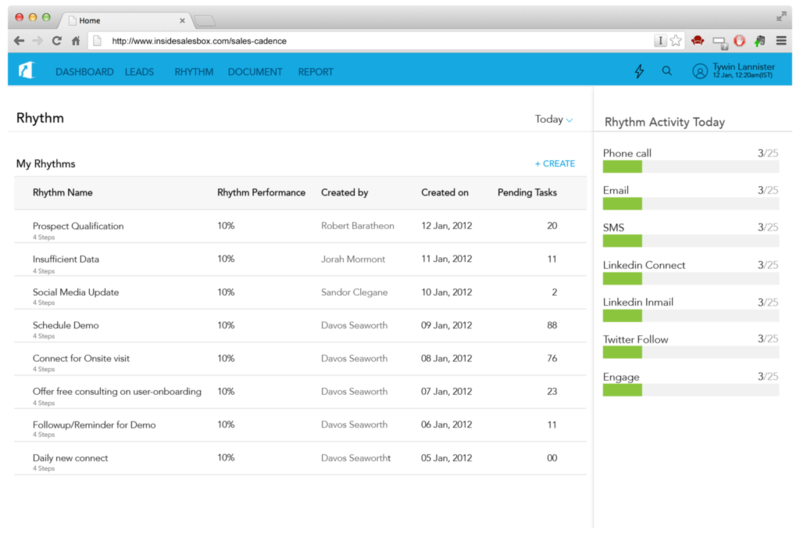 Track Activities:Track all your sales and review sales performance with few clicks. Create Rhythms:Improve your follow-up process and define the steps to close more deal. Is Lead Management Limited to a CRM?